Located just a 15-minute drive from Oaxaca’s Historic Centre, this quaint hotel offers guests free Wi-Fi, free parking and an on-site tour desk. Offering an outdoor dining area, a small garden and balconies with seating area, Casa de Don Pablo Hostel is located 5 minutes’ walk from Oaxaca main square. Free Wi-Fi is available throughout. One of our bestsellers in Oaxaca City! 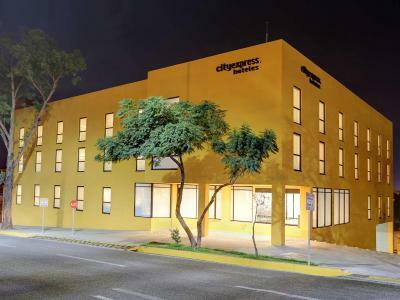 City Express Oaxaca is located 950 yards from Santo Domingo Cultural Centre and 1.2 miles from Oaxaca Zocalo Square. It features free Wi-Fi in all areas, a business centre and a gym. The property offers free private parking, subject to availability. 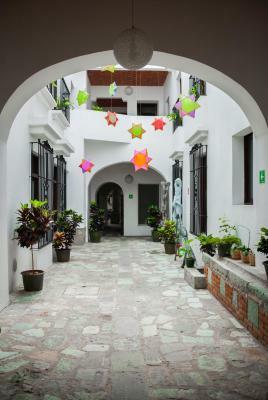 Hostal Eclipse Oaxaca is located in San Felipe del Agua, a 10-minute drive from the historic centre of Oaxaca. It offers free Wi-Fi, free parking and a 24-hour reception. 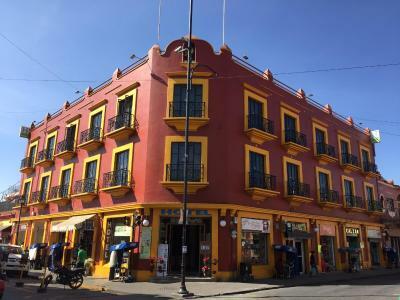 Only 0.7 miles from the main square, this hostel is located in the heart of Oaxaca and offers free Wi-Fi and a fully equipped kitchen. Hostel Don Nino features included continental breakfast. 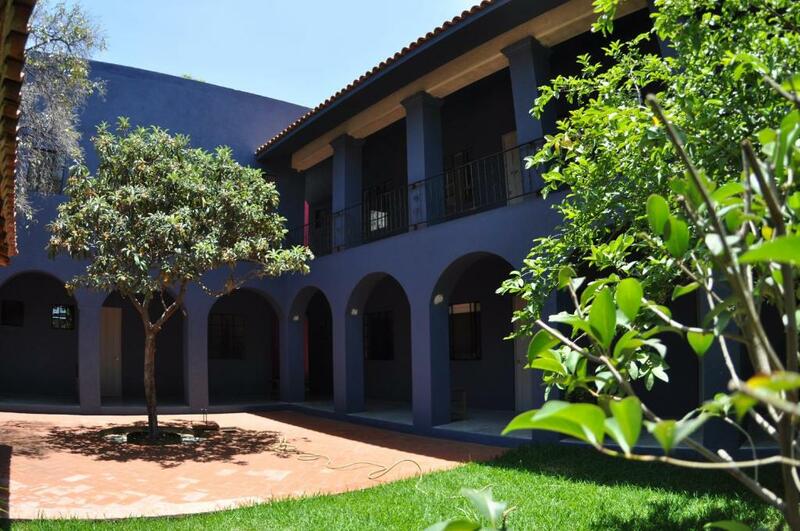 This boutique hotel is located in central Oaxaca, just 350 yards from Santo Domingo Church. 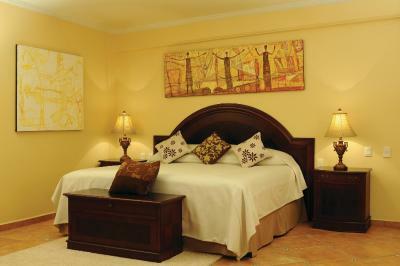 Designed by well-known local artists, the stylish rooms feature free Wi-Fi and flat-screen cable TV. Hotel Camba is located 5 minutes’ walk from Oaxaca Zocalo Square and 200 yards from Benito Juarez Handcraft Market. It features rustic architecture, a furnished terrace and free WiFi throughout. Hotel Casa Rustica is located 550 yards from Oaxaca zocalo square and 1.2 miles form the Guelaguetza Festival Auditorium. Free Wi-Fi access is available in all areas. This hotel is located in Oaxaca, just one block from the train station and railway museum. It offers rooms with free Wi-Fi, and there is a roof terrace with great views. Hotel Monte Alban is located right in the historic centre of Oaxaca, 100 yards away from the Cathedral. 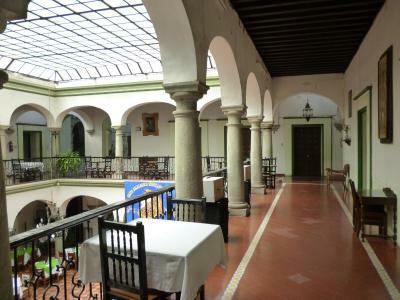 It features a colonial-style courtyard with glazed ceiling, archways and a restaurant. One of our top picks in Oaxaca City. Offering an outdoor swimming pool and a restaurant, Hotel Parador de Alcalá is located in Oaxaca de Juárez, 2 minutes’ walk from Contemporary Art Museum and from Santo Domingo Church. Hotel Rivera is located in the middle of Oaxaca City, a 4-minute walk from Downtown Oaxaca de Juarez. This 3-star hotel offers a 24-hour front desk and free WiFi. 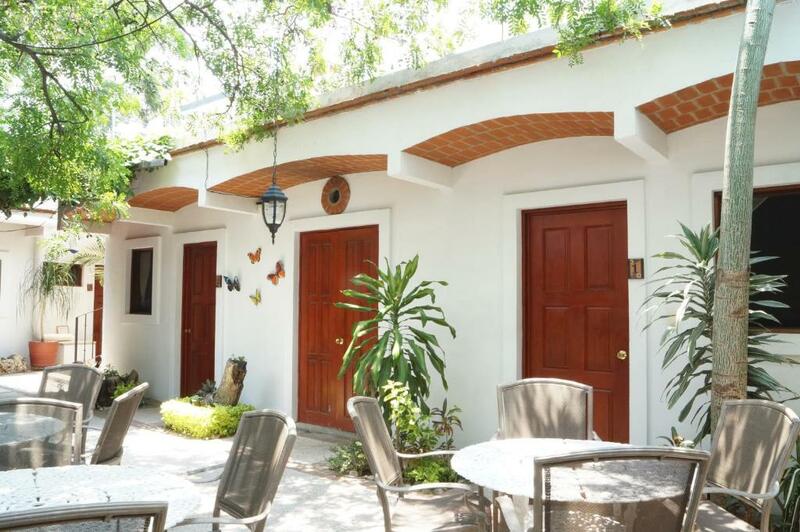 The property is situated in the Oaxaca Historic Centre district. Hotel Suites Del Centro is located in central Oaxaca, just a 5-minute walk from Oaxaca Cathedral and Zocalo Square. Each apartment has free Wi-Fi and a fully equipped kitchenette. One of our top picks in Oaxaca City – and a guest favourite. Located just 10 minutes' walk from Oaxaca’s beautiful historic centre, La Betulia Bed and Breakfast features free Wi-Fi and modern, bright décor. 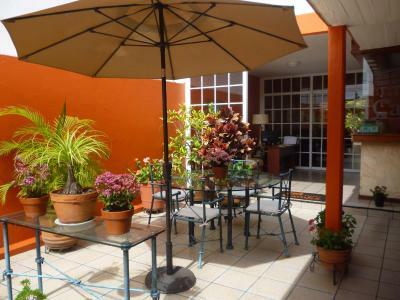 The property also features a relaxing furnished terrace. One of our bestsellers in Oaxaca City! La Catrina de Alcala is centrally located 200 yards from the Zocalo Main Square and La Alameda Central Park. 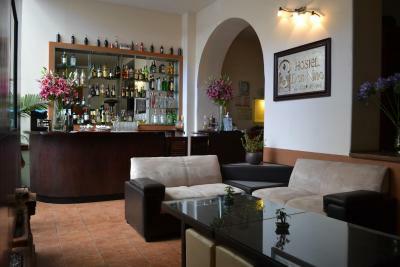 It features free Wi-Fi, a charming internal courtyard with a fountain and free continental breakfast. 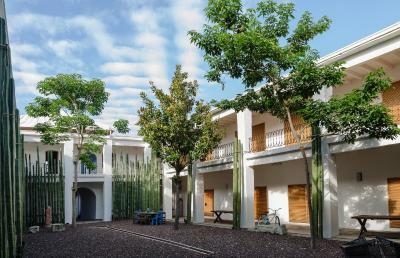 Located only a 5-minute walk from Oaxaca City’s Zocalo plaza, the centrally located Las Mariposas Eco-Hotel & Studios offers guests free WiFi, drinking water and local calls. One of our bestsellers in Oaxaca City! Marhialja Suites is located just 250 yards from Oaxaca Cathedral and the Zocalo Square, in the historic centre of Oaxaca. It offers charming rooms with free Wi-Fi and a spa bath. Located near Oaxaca city centre, this modern Mexican-style guest house features free Wi-Fi and a fully equipped shared kitchen with cable TV. Posada de los Angeles also offers communal computers and bicycle rental.